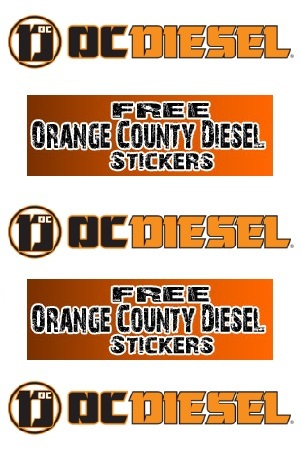 Fill out the form below to receive your FREE OC DIESEL stickers. Simply, place your name and mailing address in the body of your email and you’ll get a response back to you with an email with further instructions on how to recieve your FREE OC DIESEL stickers in the mail! Click the “Snag This” link to grab some sweet stickers!